Integration may not be new, but its role has drastically changed. Once used simply for support, it is now an enabler – serving as an indispensable foundation critical to achieving agility, efficiency, and growth. Done well, it can drive better business decisions, more cost-effective operations, and be the catalyst for competitive advantage. 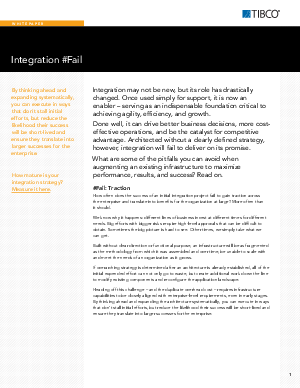 Architected without a clearly defined strategy, however, integration will fail to deliver on its promise.